Do you know that there are pages on your site that is only costing you money? Are you a hundred percent sure that your web analytics will can be trusted enough to create new campaigns for your business? 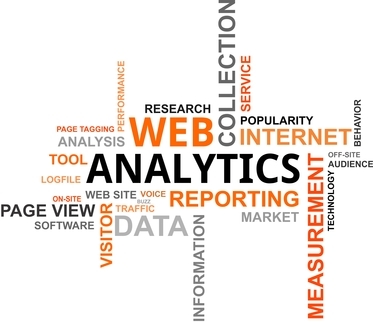 Web analytics audit which is basically making sure your reporting is ideal to be used for your specific business. Baseline analysis of your campaigns and marketing strategies to identify areas of improvement. Google AdWords campaign audit which is an independent third party validation. We will tell you what this report means and why you need it for your marketing strategies. Small Business SEO Success does not take money from any web analytic companies; in fact we partner with these companies to help you gain insights about your site and improve your conversion rate. Analytics companies have your numbers but we provide the insights you need to know to translate these numbers into increased site traffic and conversions. We start with identifying your site’s basic problem when it comes to data collection and then create a plan to make your data collection is accurate to make it useful to improve your site. Website analytics audit is done to make sure you are receiving accurate and useful business insights to set up your site in the most efficient manner. Incomplete and inaccurate date will never improve your site at all. We will analyze your site to totally understand the behavior of your visitors; you will be able to identify missed opportunities to totally improve the value of your website. Visitor behavior is checked for demographics, visitor finding methods, your site’s popular content and how visitors navigate through your site. Through identifying these items you will eventually learn why you are losing visitors and why you are missing out on potential conversions. You will also get an unbiased review of your current AdWords campaign and develop new strategies to improve this. It is done through thorough analysis of metrics, examining conversions, keywords use and ROI and so many more. Contact Small Business SEO Success today and gain more insights about your website with the help of a reliable and experienced conversion rate optimization expert.